Construction output in Britain has increased by 1.5% in the three months to August 2018, led by growth of 15% in the North West, some 10 times the national average, official data shows. The value of construction work on new housing in the North West has increased by £386 million this quarter compared to the same quarter in 2017 and output of new infrastructure projects has also risen, according to the figures from the Office of National Statistics (ONS). Northern Powerhouse Minister, Jake Berry, said that a construction boom is underway, with the number of new homes being built up as well as infrastructure. ‘Anyone visiting the North West can see the huge number of construction projects underway and these figures show just how valuable they are,’ he added. While overall, construction output is up just 0.3% up on last year and 2.9% up on the past three months, but construction of new housing has seen a much more significant rise and is up 5.6% on the past three months and by 5.6% year on year. But more needs to be done, according to Neil Knight, business development director of Spicerhaart Part Exchange and Assisted Move. He said that while it is encouraging that new build construction is up, there needs to be a wider range of residential priorities being built, not just those aimed at first time buyers. ‘The rise in construction of new housing is very positive, it seems the focus is still very much on first time buyers, with most new build schemes aimed at them in order to take advantage of the stamp duty freeze and the hugely popular Help to Buy scheme,’ he pointed out. ‘In fact, in the five years since Help to Buy was launched, first time buyers have gone from accounting for 38% of all mortgages to 51%. It is clear why developers are keen to build homes for first time buyers as there is no chain, so it is easier to sell the properties and move on. But we cannot forget about the rest of the market,’ he explained. ‘If the Government wants to really get things moving, we need to ramp up construction in other residential areas. For example, we need more bungalows and housing suitable for older people to downsize, and we need more family homes aimed at second and third steppers,’ he added. 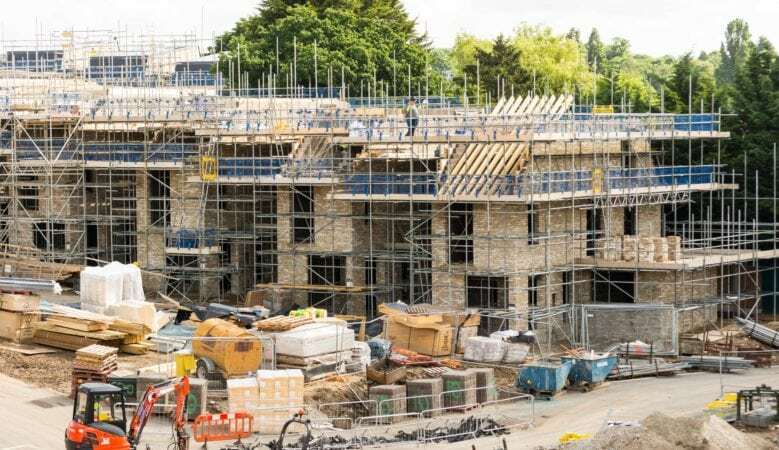 Blane Perrotton, managing director of the national property consultancy and surveyors Naismiths, pointed out that it is house building that is currently holding up the construction industry. ‘But the growth is far from evenly spread with big regional disparities opening up as the confidence gap widens between the overheated South East and other areas where demand is stronger and margins better,’ he said. Michael Thirkettle, chief executive of construction consulting and design agency McBains, believes that construction needs some incentives from the Government to help give house building a further boost. ‘We’re still building fewer homes than required, and while we heard a lot at the recent party conferences in terms of demand side policy announcements to help more people onto the housing ladder, there was little detail on the supply side to help the industry build the homes that will allow such aspirations to be met,’ he said.